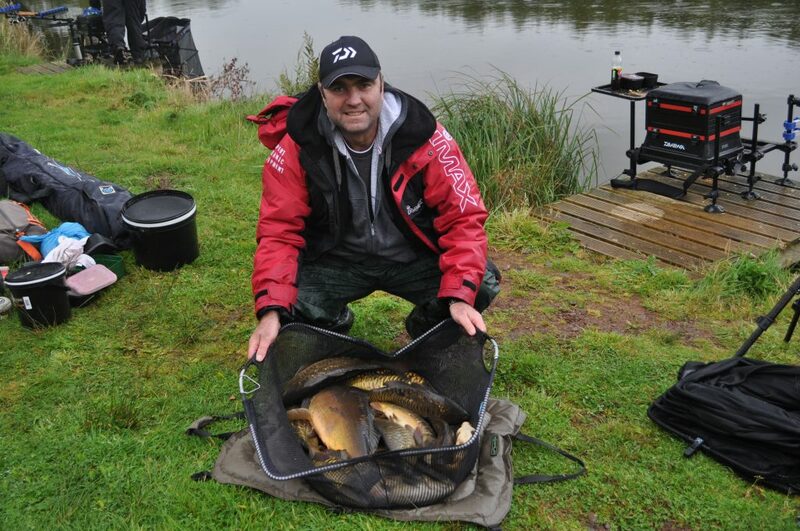 Mainly dry with a shower for most of the match, and pretty wet for the last hour, reasonably mild with a nice ripple on the water. 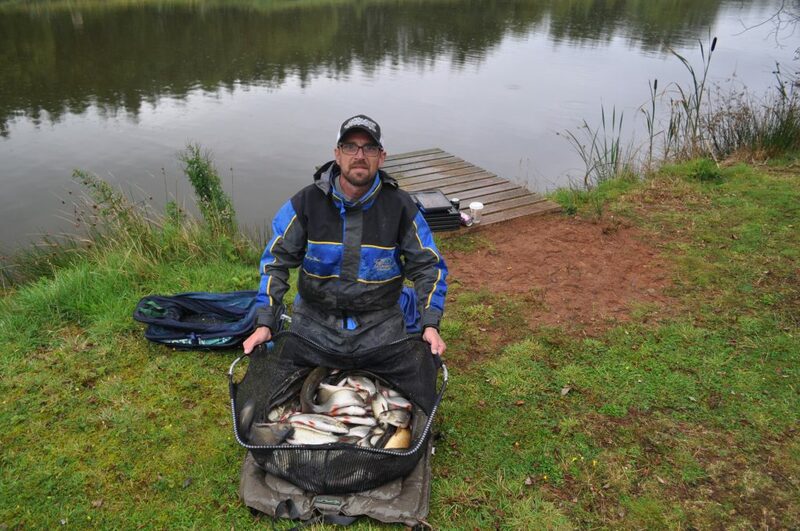 On Queensberry water Pete Armstrong won the section and the overall match with a great nets of big ide and the odd carp, all caught on maggot / pole to weigh in 81lb 4oz. 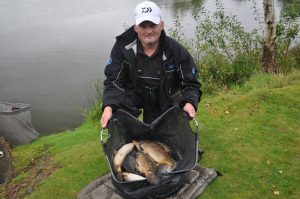 Barry Young struggled to catch on the pole with only one ide and two skimmers for his efforts, but a switch of tactics to the method feeder using a hard 8mm pellet produced 21 carp to weigh in 65lb 2oz, securing 2nd place. 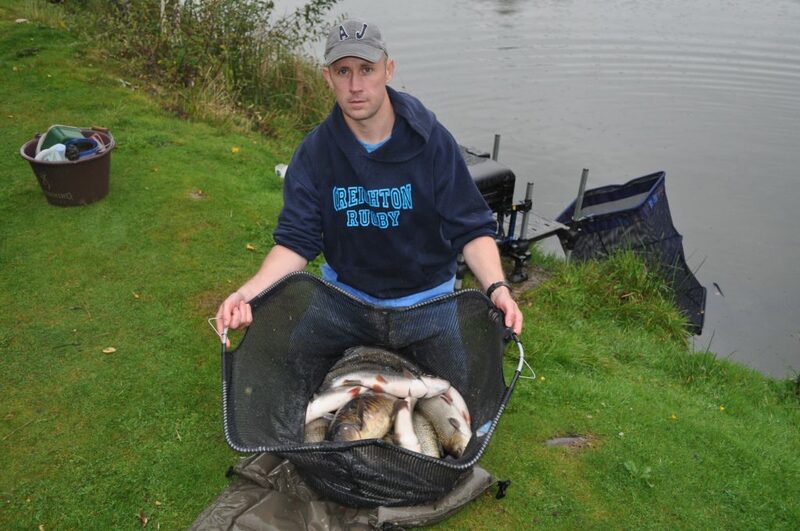 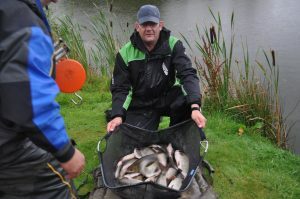 Don Lines fish well catching a nice mix of carp and silvers on the pole / maggot for a respectable 46lb 8oz and 3rd place. 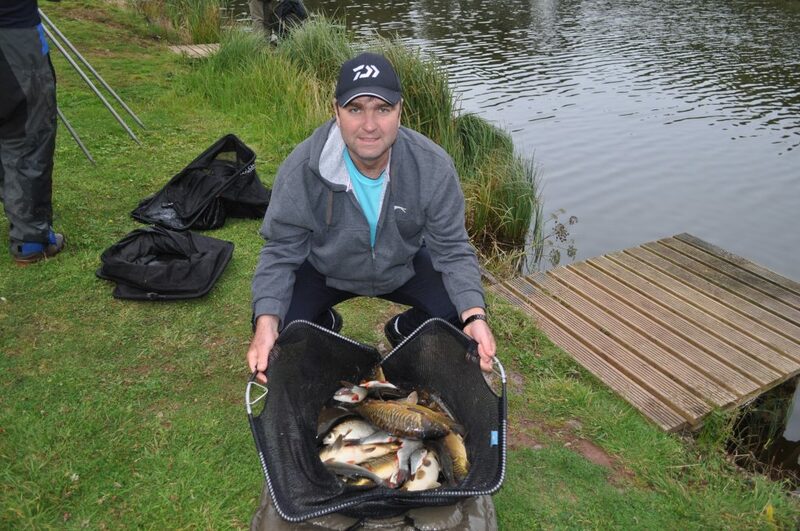 On Wallace Lake Rosen Arsov won comfortably, catching 73lbs of carp on tip rod. 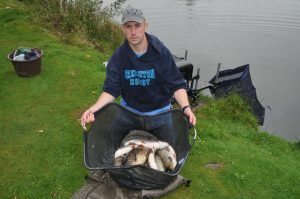 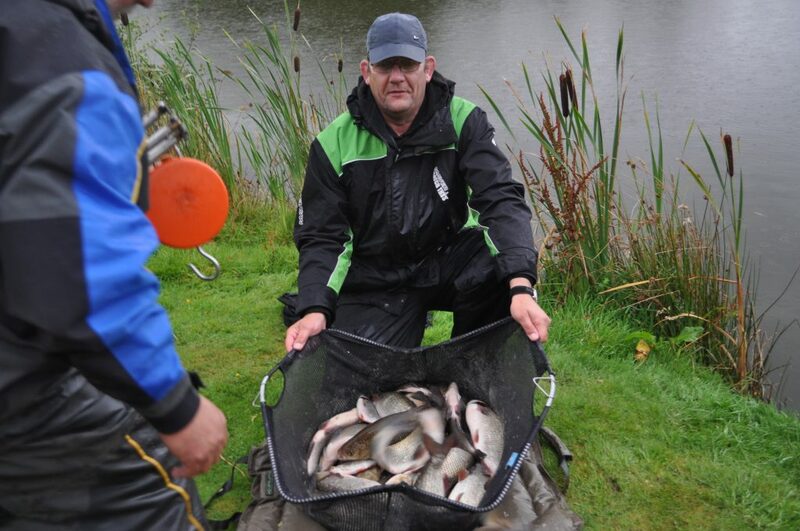 Rob Swan fished a tidy match catching over 80 small ide, feeding 8pts of maggots on pole. 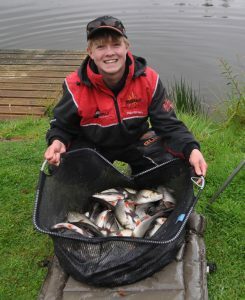 Myles Watt was a steady 3rd in section with 48lbs 8oz, catching lots of small ide fishing shallow using maggots on the pole. 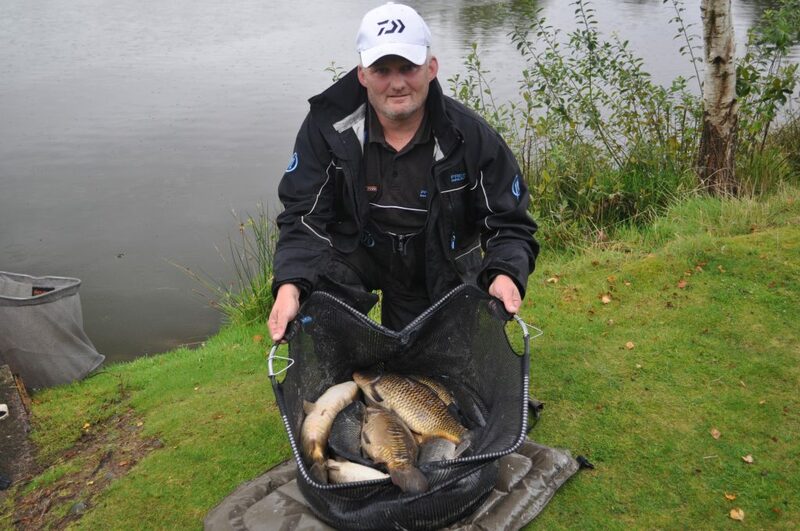 Thanks again everyone for another well supported match.